Studying in Spain in English is a great option when it comes to studying abroad. Its rich cultural and historical heritage, added to its affordable cost of living, has made Spain a main destination of choice for international students. Broaden your horizons and live an incredible experience, studying in English, in one of the most beautiful countries in southern Europe. Marbella is a multicultural hub, and being a city with a plenty of diversity, it could even be considered a distinct city in Spain. But why? Most of Marbella’s inhabitants are foreigners who have settled here to improve their life expectancy. Marbella can offer advantages that most other Spanish cities cannot. In this city in southern Spain, with a population of 140000, and with its invidious sceneries, both sea and mountain, surrounded by nature, is truly a thing of jaw-dropping beauty. The city itself has been growing over the last several years, ever since the expats came not just to enhance their own lives but also the lives of those living here. So why not come see for yourself and be a part of this breathtaking environment? What would you like to study in English in Spain? With a large number of communities, knowing English is a must for your ability to mingle. This is one of the most important reasons why Marbella is chosen by foreigners to live in, for wherever you go, you feel secure. Due to the high number of foreigners and expats settled here, the number of companies has been increasing, meaning more jobs opportunities are being created. 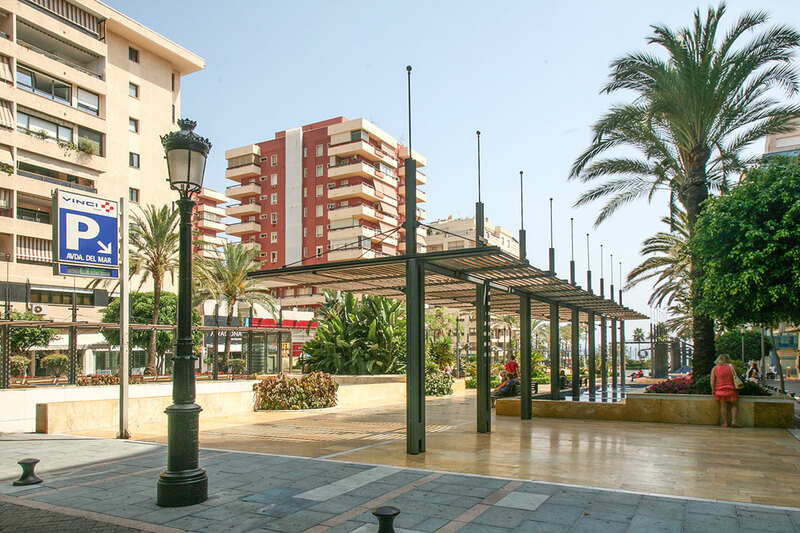 Its location has helped people settle and develop their businesses, making Marbella one of the most important business hubs in Europe, just 45 km from Malaga’s International Airport. Surrounded by mountains and sea makes it easy to practice all of your favourite sports, ranging from trekking to water sports. Its Mediterranean cuisine and outstanding ambience will fascinate you. Marbella is a global travelling destination and one of the most popular cities in Spain, boasting an average of around 320 days of sunshine per year. Discover the best of the city's food, nightlife, travel, local customs and annual festivities, to make sure you take full advantage of studying in Spain. Why study in English in Marbella, Spain? That is easy to answer, coming here will help you learn and/or improve your English, because here, you have to speak English. Our university offers the opportunity to study several languages, such as English, French, Chinese, Arabic, and Russian and of course Spanish. All of them are taught by native experienced professors. In addition, our programmes will help you improve your English proficiency, since they are all taught entirely in English. Our collaboration with West London university is a plus as students who want to get a dual degree may study there for a semester. Students learn from experienced professionals who managed international companies and institutions both in Spain and Overseas, The Learning is fully practical and hands-on and for this, students get the best preparation to penetrate the Spanish and international markets. Spain is popular for being a pleasant place to learn and enhance personal and professional qualities that last a lifetime. Now you know all the reasons why you should come, so what are you waiting for? If you are looking for a small international community of students, with over 65 nationalities, then this is the place for you! Studying abroad is a truly enriching experience that happens once in a lifetime. No matter what your background is, you can make the most of your new surroundings and get exploring. The Accommodation Department assists students with finding accommodation in Marbella and the surrounding areas while studying at MIUC. Why to study in Spain in English at MIUC? See what our students are saying.